Broadland Nurseries in the village of Ormesby St Michael near Great Yarmouth is a family run plant nursery and plant centre which sells a wide selection of plants, shrubs and conifers.A cafe and flower/gift shop on site also. Open 7 days a week. Please check website for opening times. Follow the Cromer Road towards Rollesby. 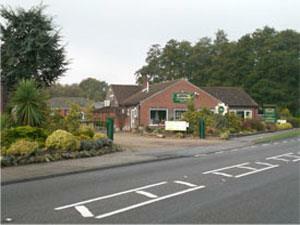 Broadland Nurseries is situated right next to Ormesby and Rollesby broad and only seven miles form Great Yarmouth.